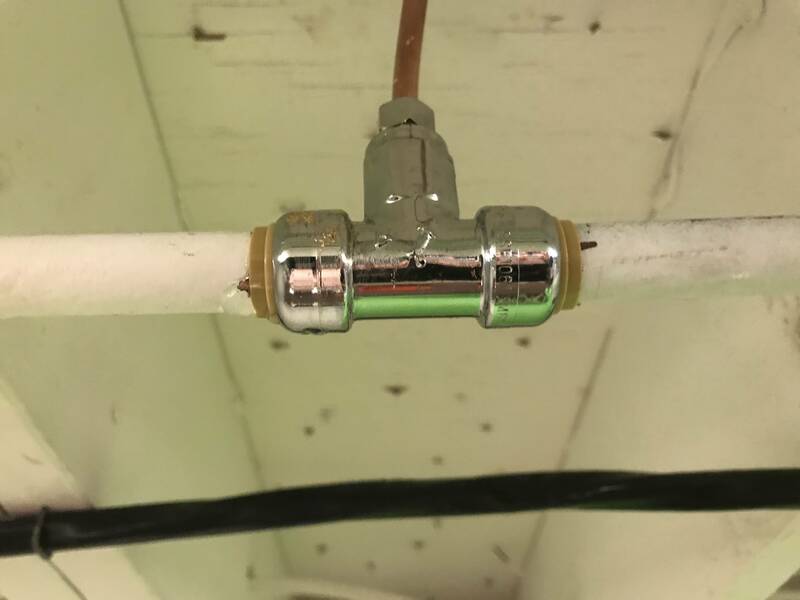 I just installed this sharkbite valve. 1/2 copper pipe. The right side of the valve is dry, but the left side is leaking. What could be the problem? I tried pushing more of the right side of the pipe into the valve but it won’t go any further. What can I do from here? Cut it out and get a longer valve to make up the space difference? It looks like the paint on the pipe is causing your problems. I'd recommend shutting off the water, removing the shark bite connector, and stripping the paint for a couple inches on either side. The hardware store will have chemicals to help strip the paint so you don't have to do it all manually. 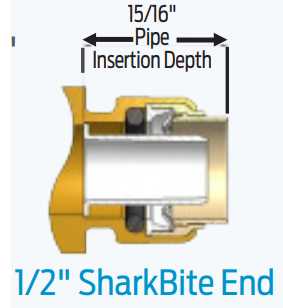 When you reinsert it, SharkBite recommends 15/16" insertion depth for 1/2" pipe. Typically you should measure that distance from the end of the pipe and mark it with a permanent marker so you have a sight line for reference when pushing the fitting on. You can also use any number of abrasive or sanding products but that paint has got to go. The wall of the pipe has to be absolutely free of debris. You can fix this with just a standard pair of pliers. Use them sideways to put pressure on both sides of the lock nut to release the pipe. After the fitting is completely removed, run the pliers around the pipes to scrape the paint off (DO NOT squish the pipe at all). It looks like it will all come right off, if not, finish with an abrasive. If it still leaks, you've messed up the fitting; get a new one. If it still leaks after that, the pipes are likely deformed. At that point the easy fix is over and it's time to sweat it. Or you can keep cutting bits off to get a better connection and trying SB connectors: you'll need a length of pipe to make up the difference and some straight couplings. Check that fittings and pipe are clean, in good condition and are free from damage and foreign objects. Cut the pipe so that the ends are square. Ensure that there are no burrs or damage to the cut end. Wherever possible proper pipe cutting tools such as rotary pipe cutters (copper tubing) or pipe shears (for plastic pipe) should be used. Crap inside the pipe doesn't really matter; they're talking about the OD: "in good condition and are free from damage and foreign objects." How do I attach compression fitting to copper pipe that is bent? Corrosion around hot water heater connection? How to make sure a dampen floor and wall is caused by a leaking pipe?